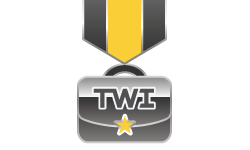 This nine (soon to be sixteen) week course is held in Huntsville, Alabama at the Army Acquisition Center of Excellence. It is designed to provide a broad spectrum of knowledge pertaining to the acquisition process, program management and contracting. 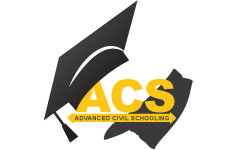 Naval Postgraduate School’s Advanced Education Program (Initial Officer Education) Army Acquisition officers attend Naval Postgraduate School’s Masters of Science in Program 522 through the Advanced Civil Schooling fully funded education program. Each of these programs result in a minimum Acquisition Career Fields (AFC) training of: Contracting (3), Program Management (3), Test and Evaluation (2), and Engineering (2). Army Intermediate Contracting Course AICC (Phasing out): This four week Course held in Huntsville Alabama is and intermediate contracting course emphasizing Army doctrine and Army-unique system acquisition procedures and organizations throughout its curriculum. Military Education Level 4/Advanced Operations Course Intermediate Qualification Course (IQC): The three-week FA51 IQC is the Army Acquisition Corps (AAC) functional-area specific follow-on to the core intermediate Level Education (ILE). 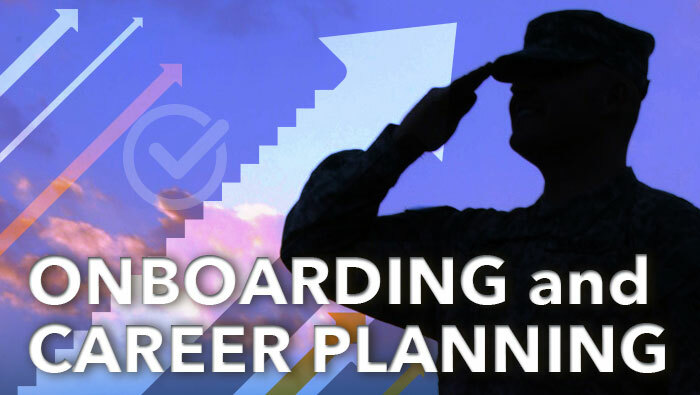 The ACS program provides opportunities for Contracting NCOs (Military Occupational Specialty 51C) to pursue advanced degree programs at civilian universities on a full-time basis. Participants are chosen through an annual selection board which is usually held in November and should apply for the program 9-12 before the anticipated start date of classes. 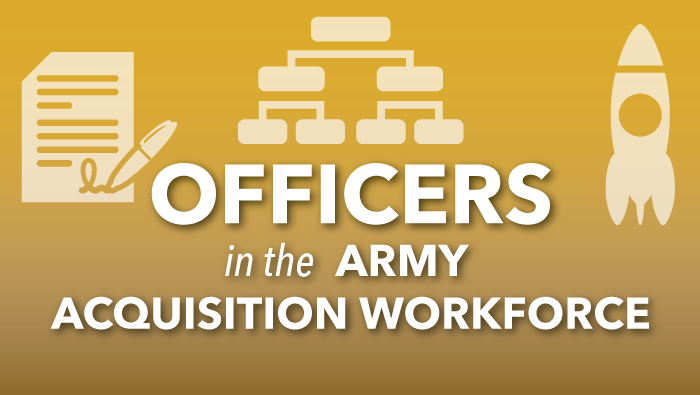 Acquisition Pre-Command Course: A resident two week course held at the Army Acquisition Center of Excellence in Huntsville, Alabama mandatory for centrally selected to acquisition command positions within the US Army Acquisition Corps. Program Manager’s Course (PMT 401): A technically focused resident held at the Defense Acquisition University in Fort Belvoir, Virginia mandatory for centrally selected to program management command positions within the US Army Acquisition Corps. Contracting Pre-Command Course : A technically focused resident two week course held at the Army Acquisition Center of Excellence in Huntsville, Alabama mandatory for centrally selected to contracting command positions within the US Army Acquisition Corps. Influencer Training is a leadership course that teaches proven behavior change strategies. Drawing from the skills of many of the world’s best change agents and combining them with five decades of social-science research, this course offers a powerful model for behavior change whether you manage a team of ten or ten thousand. For more information contact the AACoE. Captains, Majors and Lieutenant Colonels. Crucial Conversations teaches skills for creating alignment and agreement by fostering open dialogue around high stakes, emotional, or risky topics. 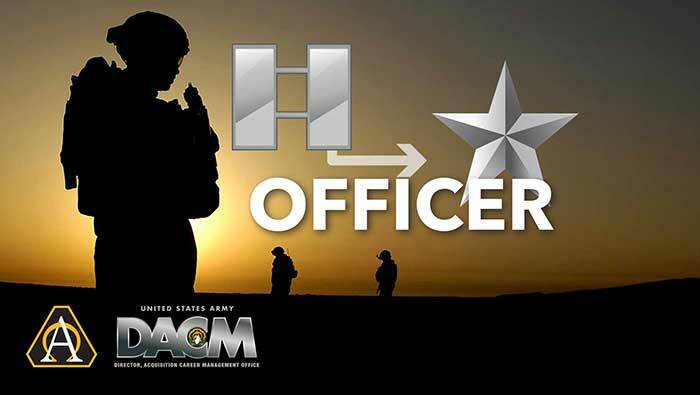 Acquisition Officer Doctoral Opportunity provides an opportunity for qualified officers to pursue a doctorate degree in a technical/engineering related discipline at civilian universities on a full time, fully funded basis. Participants are chosen through semi-annual selection boards, which are usually held in June and November, and should apply for the program roughly 12 months before the anticipated start date of classes.